A few days into this holiday month, I’m pleased to spread good tidings about upbeat developments happening here in Encinitas! The City of Encinitas has money left over at the end of the fiscal 2016/17 year because of cautious budgeting, a strong economy and lower than anticipated expenditures from personnel savings, mostly based on a city-wide staff reorganization this year. If you’re into the numbers, our general fund revenues were 1.2 percent higher ($.9 million) and expenditures were 5.7 percent lower ($3.4 million) than budgeted. That leaves us with a favorable variance of $4.6 million in our general fund. Over the last four years, we’ve been grateful that our conservative budgeting has produced yearly surpluses like this. The City Council made a policy decision in 2013 to commit five percent of surpluses to pay down the city’s unfunded pension liability, which sits at about $40 million. This excellent idea originally came from our former City Council colleague Lisa Shaffer. It set a great precedent that we’ve carried forward. We’ve now paid nearly $1 million toward pre-payment of our city’s pension debt. Because these payments come from money we hadn’t budgeted for other needs, they are essentially painless for the city. This year, instead of allocating just five percent, which would have been a bit more than $100,000, we all seemed to have concluded independently after reading the staff report (and in the meeting quickly agreed) that we should increase this year’s pension debt contribution to $500,000. We asked city staff to come back with a policy that would allow us to chip away more aggressively at our pension liability in coming years. Pension costs rise every year, particularly when the discount rate is lowered, as it has been and as it will likely continue to be. When we project our city’s budget into the future, we remain capable of handling the yearly CalPERS bill without dramatic changes to our operating budget, such as cuts to law enforcement or firefighters, reduction of park or library hours, or deferring maintenance of city roads. But our escalating pension costs will leave us with less money for our capital improvement projects (CIP). We currently have about $40 million in CIP projects planned or underway. Many cities don’t build CIP projects – like railroad crossings, new parks or fire stations, the Leucadia Streetscape project – from ongoing revenue in a pay-as-you-go approach like we do because they can’t afford to. Many cities have to issue bonds for specific projects. We have some debt from bonds, but it’s a relatively small amount. In the future, we may have to scale back CIP projects because of escalating pension costs, or if we want to continue an aggressive CIP program, consider financing the projects through debt to accomplish these bigger goals. In addition to this year’s $500,000 for pre-payment of pension debt, we also put $500,000 toward acquisition of open space. Our contingency reserve, which is 20 percent of operating expenditures, is fully funded at $12.5 million and we have a budget stabilization reserve and a non-spendable reserve fully funded at about $2 million. It’s important to keep some cushion in the general fund to account for unexpected expenses so we don’t find ourselves with our back to the wall financially. We have about $8 million in the general fund, which is a good place to be. Here’s the Coast News story. We unanimously approved a resolution calling upon Congress to continue the existing DACA (Deferred Action for Childhood Arrivals) program and provide DACA recipients a pathway to citizenship. More than a quarter of DACA recipients, or about 222,796, live in California. Undoubtedly we have residents in Encinitas who are DACA recipients or have family members affected by DACA. Openly supportive communities, schools and cities are important for successful assimilation of “Dreamers” into American society. More than 400 CEOs of America’s largest companies, including Amazon, Apple, Wells Fargo, Microsoft, Facebook, AT&T and Best Buy, have signed a letter urging support of preserving the DACA program. The current President has said that that the DACA program will cease to exist in March, if Congress doesn’t approve legislation to authorize or replace it. This would be a preventable tragedy. The DACA program affects the economy and local families. Cancellation of the program will needlessly cause tremendous suffering to innocent, productive, hard-working people who are our neighbors, friends and family. We all need to apply pressure to our elected officials at the federal level to get this done. The City of Encinitas is spearheading the possible creation of a CCE (Community Choice Energy) arrangement for us and neighboring cities. Together with Carlsbad, Oceanside and Del Mar, we approved funding for a “technical feasibility study” to determine whether it’s fiscally prudent to form a CCE to meet the city environmental goals for reduction in greenhouse gas emissions. Together, the four cities have a population of 357,000, which would give the CCE some economies of scale. Encinitas’ share of the study’s cost is $20,000. 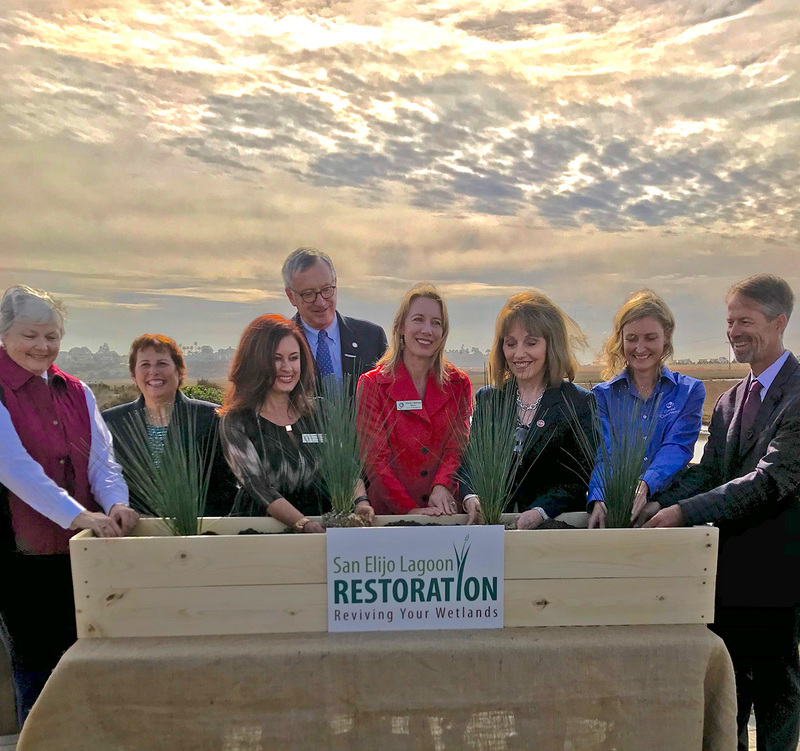 I happily attended a groundbreaking ceremony along with other dignitaries, elected officials and staff called “Reviving Your Wetlands,” the beginning of the San Elijo Lagoon restoration project. The lagoon will be dredged and somewhat re-built, while the infrastructure that allows the lagoon to flush will be enlarged. Both the I-5 freeway bridge and the railroad bridge over the lagoon will be rebuilt to accommodate greater water flow between the ocean and the creek that feeds the lagoon. Trails and bike paths along and through the lagoon will also be improved. This project has been in the planning stages for nearly two decades. While I’m interviewed in this KUSI news clip about the project, I admittedly don’t deserve any credit for making it happen. The lagoon is a regional gem and all efforts to keep it a vital and healthy wilderness are critically important. We approved up to $1.7 million for the design of the “Verdi-Montgomery Avenue Vicinity Pedestrian Rail Undercrossing Project.” This rail crossing was originally planned as an at-grade crossing but given that at-grade crossings include the addition of wayside horns, which adds train noise to the corridor, and the additional regulatory hurdles associated with at-grade crossings, the Council unanimously supported funding an undercrossing. A reminder that we’ve scheduled a “Housing Meeting” on Saturday, December 16th from 8:30 a.m. to 12:30 p.m. at the Encinitas Senior and Community Center. It will be a joint meeting of the Encinitas City Council and the ad-hoc housing task force, designed to continue moving forward in our efforts to comply with state law. This will be an excellent, relatively informal chance to learn the latest and contribute your own input. We’ll take public comment at the beginning. Things are operating very well at the city now. A city reorganization this year is beginning to bear fruit, creating much better efficiency in our city government and services. 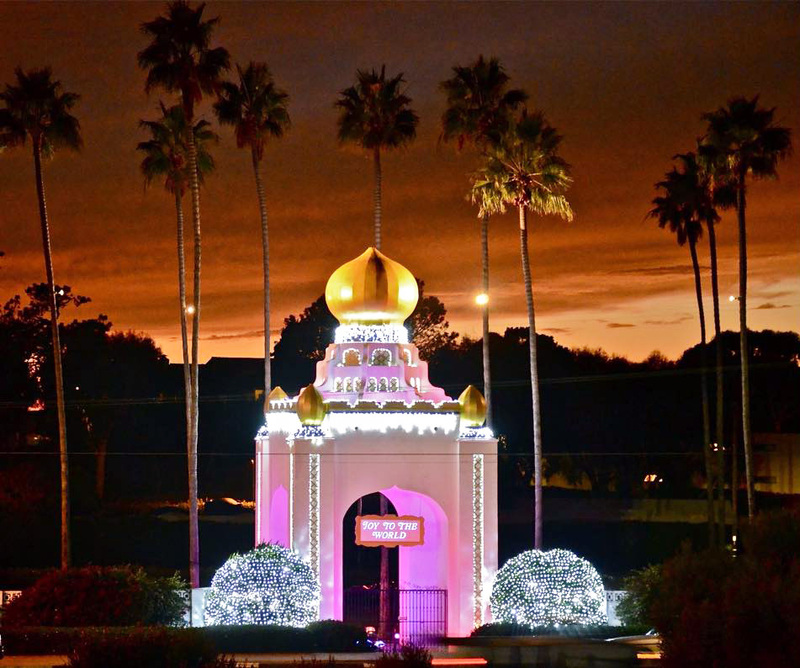 I’m proud of what all of us in Encinitas have accomplished, and I hope you are, too! P.S. Check out this month’s Mayor’s Minute column in The Coast News if you’d like even more information about our city: Winding down 2017 and looking ahead to 2018.